This is our way of sharing news, pictures, movies and anything else related to Zane with his family and friends (who are scattered all across the world). 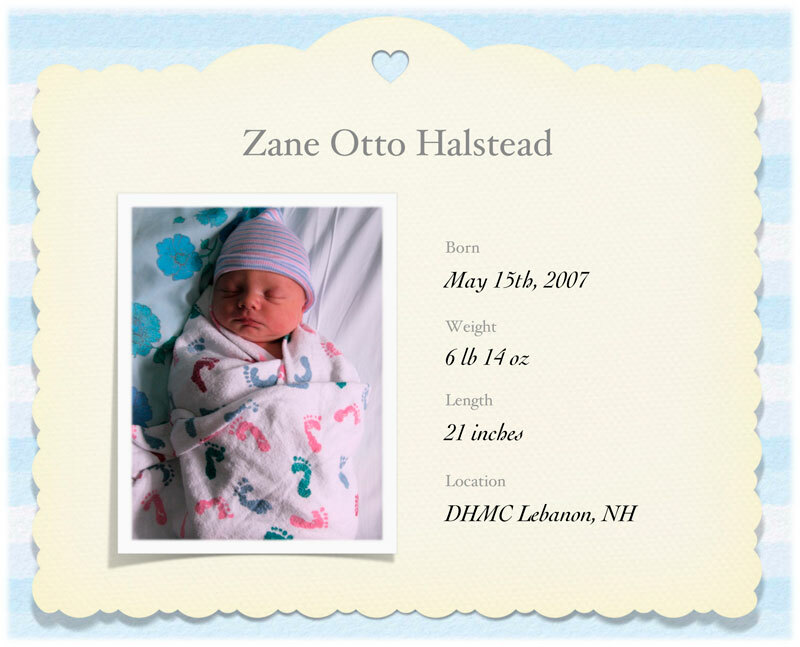 You’ll also find a collection of Zane’s photos and movies on his .Mac Web Gallery. Zane’s mom teaches piano, does accounting work, and manages stocks and investment portfolios. Zane’s dad is a programmer who dabbles in electric cars and photography and likes to cook. Most of the content on this web site is created using a Mac with BBEdit, CSS Edit, Photoshop and Lightroom. The site itself runs Textpattern software on textdrive’s hosting servers.